Remember the movie The African Queen? 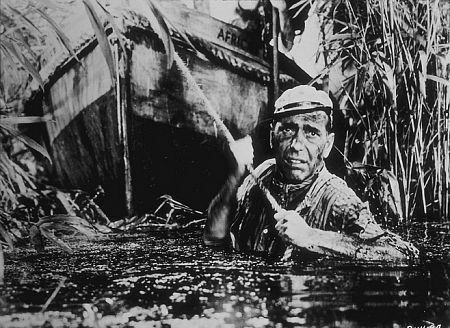 There's a scene in which Charlie, played by Humphrey Bogart, is pulling the boat through the reeds, in chest-high water. It's hot, humid and miserable. He climbs back into the boat to take a break, and Rose (Katherine Hepburn) cries out. Charlie is covered in leeches! They apply salt to make the leeches come off, and Charlie shudders, expressing his horror and dislike of leeches. The bloodsuckers have been removed, but the boat is still stuck in the reeds. Nothing left to do but go back in the water (and more leeches) and continue pulling. Somehow, this scene comes to mind whenever I have to troubleshoot a problem with a computer running the Microsoft Windows operating system. Would you like to reboot now?